This year the Best.Gift.Ever. gift catalogue had a huge impact on the lives of children and their families in Canada and around the world – thanks to YOU! From giving the gift of a goat to a family in-need, to providing children with hand washing stations at school, the gifts you gave were truly the best, ever. 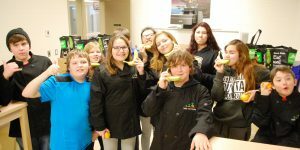 At Eel Ground First Nation’s Natoaganeg School, the Fresh for Less (fresh food box) program is supported by Youth Champions – student leaders who help mentor their peers and encourage healthy eating. They help calculate the orders and pack the fresh food boxes for approximately 40 homes in their community. “I thought it was fun packing the boxes… everyone joked and had fun. It was good to help community members get healthy!” one Youth Champion shared. Youth Champions also run a “healthy canteen” at Natoaganeg School, which has helped replace unhealthy food options at school sports and social events with fruit kabobs and smoothies.With their mentorship, they’re helping to make food, cooking and nutrition fun and cool. Youth Champions have quickly become the vehicle for community change, addressing food insecurity from within their own communities. “I will have income from the sale of the fish to feed my children and send them to school,” Christiana, a mother of six from northern Ghana told us. Christiana is a member of an aquaculture group supported by CFTC’s food security project RESULT, which has helped teach her about sustainable aquaculture management, business and financial management, harvesting and marketing. Before the project had started, Christiana had never been on a boat before, but as a member she received training on how to paddle, how to empty water out of the boat, and the importance of wearing a lifejacket. “At first I was afraid to paddle out onto the water, but now I am used to it,” she confidently explained. 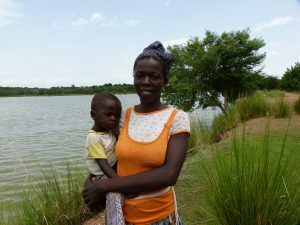 To date, 70 per cent of participants in CFTC’s aquaculture program have been women – helping mothers like Christiana learn new skills to bring greater food security, nutrition and income to their households. At only forty-six years old, Zemu is the breadwinner for her grandchildren, their single mother Fatima, and her adult son who has a disability. Zemu was identified by the community as a woman who could use support from Canadian Feed The Children’s food security project MILEAR three years ago. It couldn’t have come at a more critical time. 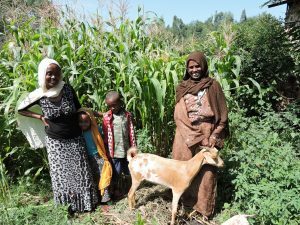 Zemu was provided with goats through a pay-it-forward system, where participants pass on goats to other community members in-need once the animals have given birth. With the extra income, she has been able to cover the costs of food, clothing and school supplies for the children. Her family has also improved their home and built a structure to keep their goats in at night, safely away from hyenas. “Our dream and vision is to be transformed to a higher level than now. Now we have built this house and I am buying merchandise and I will make it into a small shop. I will strengthen this and then I plan on also opening up a canteen to sell food and drink. Many schools around the world struggle to provide safe and clean latrines and hygiene facilities for their students because of a lack of resources. Thanks to you, students like the one pictured below at St. Luke’s Primary School in Uganda have received both. The hand washing stations help to facilitate hygiene education and limit the spread of disease, which means more kids stay healthy and don’t miss school. The latrines are particularly beneficial for adolescent girls – a time when many girls drop out of school if their schools do not have private facilities where they can safely and comfortably take care of their personal hygiene. Latrines and access to water at schools are critical tools to keep adolescent girls and all children in school. 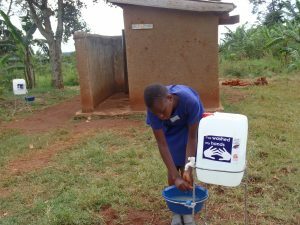 “[Latrines and water access] improves our health, we can concentrate on our education, we don’t miss our classes, and we are happy,” one student said. The first years of life are a crucial time in a child’s development. 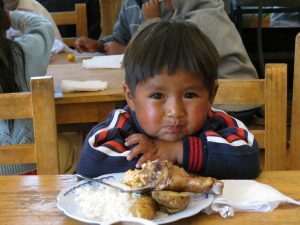 Without proper nutrition, the odds of achieving normal physical and cognitive development plummet and limit children’s potential. Virginia is 26 years old and is the mother of four children. Her husband works as a tailor’s assistant, and together, they have worked hard to feed all of their children and send them to school. Despite this, they often struggled to afford the cost of school and nutritious food like fruits, vegetables and meat. Two of her eldest children joined Canadian Feed The Children’s Sponsor a Child program and a corresponding after-school program, which meant they began receiving healthy meals and snacks at school. At the same time, Virginia was invited to join a group of women implementing family gardens. Now Virginia is able to feed all of her children fruits and vegetables from her garden and she can sell the surplus at market to earn an income. “The project has helped me to have friends and to be part of a women’s group. I can cook better meals for my kids and learned to produce veggies that support my family’s nutrition,” she told us. Your gifts help children thrive! Browse the catalogue today at www.BestGiftEver.ca.